ROTIFERS AS INDICATORS OF LAND-BASED EFFLUENTS IN THE MEDITERRANEAN COASTAL WATERS OF EGYPT. 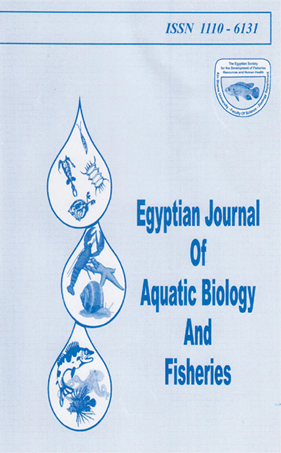 The species composition, abundance, and distribution of rotifers were sudied in several parts along the Egyptian Mediterranean coast, particularly those exposed to variable sorts of discharged inland waters. These areas include from east to west the swash zone between El-Maadiya City and Rosetta mouth of the River Nile, BoughazEl-Maadiya, Abu Qir Bay, and both Western and Dekhaila Harbours of Alexandria.The results were discussed in relation to water circulation patterns in the areas of study. Significant regional variations were recorded in the species composition and density of the rotifer community, as well as their role in the total zooplankton. The distribution of rotifer species appeared to be tightly related to the variability in volume and dispersion of the discharged waters. Several species of fresh and low brackish water origins were found at high salinity (up to 39.2%°), referring them as hydrological or ecological indicators. Each of the studied areas was characterized by its own dominant species, but some of these species were observed as dominant in the whole region. Rotifers in the study region were most productive during the warm period from late spring to early autumn.